In late July a tragic accident took place on the coast of Santa Lucía de Tirajana in the east of Gran Canaria. 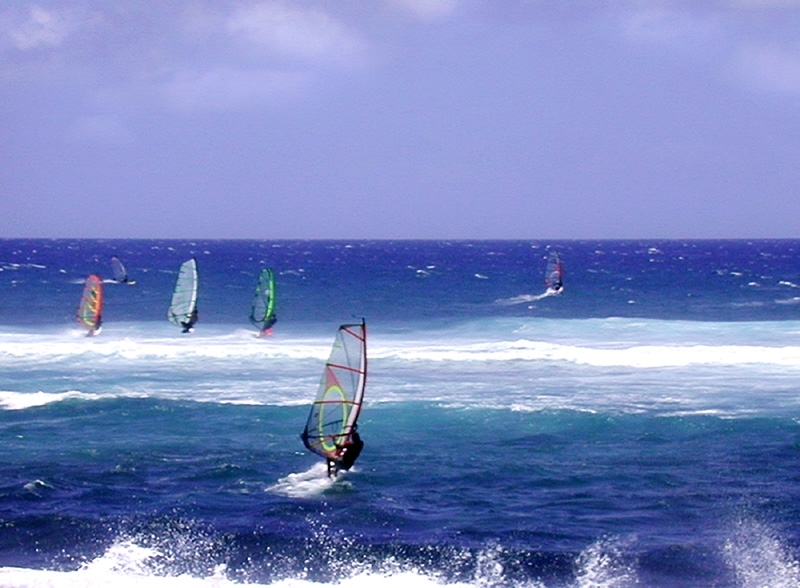 17.08.2015 - This stretch of coastline is well known by windsurfers on the international scene because it has perfect conditions for the sport, and only recently the World Cup was held there. In the early afternoon on that tragic day at Cueva Laya, a windsurfer injured a diver so seriously that she died at the scene. The 31-year-old Russian diver, Emilia, had lived for some time in the borough of Santa Lucía de Tirajana. She was trying to collect seafood while diving and wasn’t inexperienced, but two unfortunate factors could have contributed to the accident. She failed to give the recommended signal that she was there by marking the area with a buoy, and the windsurfers came a little closer to the coast than they usually do. The borough’s security councillor, Nieves Garcia, said that the accident occurred about 25 metres from the coast. It seems that it was the keel of a surfboard that caused the fatal deep cut in the young Russian woman’s neck. She bled profusely and died before the emergency services arrived. The windsurfer, a 41-year-old Swiss man, who spent his holidays at Bahía Feliz, is an knowledgeable surfer. He was so shocked by the accident that he had to be taken to the El Doctoral medical centre to be treated for a severe panic attack. The police and prosecutors confirmed that this was a tragic accident which followed a sad chain of unfortunate circumstances. The windsurfer has not been detained. Produced with news.CMS in 0,0666 seconds.